Your Home Loan and Tax Planning! While all of us have a dream of buying a dream home or constructing or reconstructing or repairing our homes, it’s also important to consider the tax angle when we decide to do any of these activities. For some, the amount of wealth they have created allows buying or constructing or reconstructing or repairing or renovating homes from their own funds – i.e. without opting for a “home loan”; but again doing so precludes you to avail of the tax benefit, which are attached if one takes a home loan for such activities. But again just to reiterate please don’t rule out the financial planning aspect of number of years left with you for repayment of your home loan. Yes, our Income Tax Act, 1961 too considers our desire to buy or construct or reconstruct or repair or renovate our dream home and gets a little relief, if one avails of a loan to fulfill these desires for your dream home. The “repayment of principal amount”, makes you eligible to claim a deduction up to a sum of Rs1 lakh under section 80C; and that benefit is available with you is immaterial of the fact whether you stay in the same property i.e. self-occupied Property or has let it out or has deemed to be let it out. But the “repayment of principal amount” would not be eligible under Section 80C, if the loan is taken for the purpose of repair, renovation, or reconstruction of house. However, the Stamp duty and the registration fees of the documents for the house can also be claimed as deduction under section 80C in the year of purchase of the house. 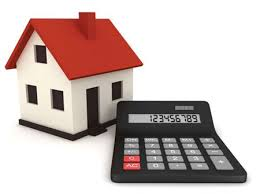 In case of self-occupied the income from house property will be negative income, (if interest is paid on capital borrowed by you to buy or construct or reconstruct or renovate or repair the house), which will enable you to reduce your overall Gross Total Income (GTI) up to maximum of sum of Rs1.50 lac and, if the loan is taken for the purpose of repair, renovation, or reconstruction, then eligible deduction is restricted to Rs 30,000 only. In cases where you are enjoying a regular income from the property in the form of rent would be considered as rental income and it would be taxable in the hand of the owner of property. You will be eligible to claim a flat deduction of 30% calculated on the rental value of the property irrespective of the fact whether you have incurred any expenditure for maintenance on your house or not to do so. If you have already bought first home where you are living right now and want to buy another house, the good news is that you can claim full interest paid for the EMIs of second house. For the first house you can claim up to Rs1.50 lacs in interest, however for your second house you can claim full amount of interest without any upper limit. But the other too apart from the one where you are staying are vacant throughout the month, then the other house property(s) would be considered as a “Deemed to be Let Out Property(s)”. Moreover, you would be liable to pay tax on rent whether you have received or not. But the only difference being that, here rent even if you have not received, it would be considered as the standard rent calculated as per the municipal laws and taxable accordingly.An important point to note here is that you should be in possession of the house if you want to claim these deductions. So in case of under-construction properties, you lose out on claiming this deduction. As far as the payment of interest amount (for the loan amount availed) is concerned, it’s not available for deduction under section 24(b) during under construction period of house. You need to have possession and certificate of ownership to claim tax under Section24 (b). However Interest part is little different. You cannot claim the interest amount, unless you get the possession of house. However you can always claim the deductions later in 5 equal installments for next 5 yrs from the end of financial year of possession in addition to in the year of possession or once construction of house is get completed. If you think that only your spouse can be co-owner in the real-estate property to claim the tax deductions, you don’t know the whole story. You can have your spouse/parent/siblings as co-owner and the entire co-owners can claims the tax deductions of Rs1 lacs for principal amount and Rs1.5lacs for interest part. So if you take a housing loan with your siblings as each co-owner of property and co-Borrower of loan, the loan amount interest and principle paid will be available for tax exemption in ratio of your loan amount. The tax benefit under section 80C is allowed subject to the condition that house property should not be sold before a period of 5 years. If you sell your house before the expiry of 5 yrs, all the money you saved under sec 80C in earlier years will be deemed to be your income in the year of sale and added to your salary. This may also attract capital long term tax. In case you take loan from your friends, parents or any other person, you can still claim deduction as the interest on the loan under sec 24, which is up to Rs1.5lacs per year. However you cannot claim the principal deduction under sec 80C, that’s applicable only if you take up the loan from some Bank or financial institutions. So you don’t always need to take the loan from a Bank. If you can take it from a friend or Family, you can still claim tax deductions on Interest part only. A new home loan tax deduction has been introduced which would provide deduction of interest paid on a home loan for a first time home buyers, spread over two financial years viz. 2013-14 and 2014-15. For those who will buy a home in the financial year 2013-14, tax exemption on home loan interest has been increased by Rs1 lakh. This is in addition to the existing exemption of Rs1.5 lakh. In totality, this financial year, they can claim a deduction of Rs2.50 lakh for interest paid on their home loan. But this exemption is allowed only for those properties for which the value of property does not exceed Rs40 lakh and its loan amount does not exceed Rs25 lakh. The additional deduction on interest payment of home loans can also be claimed in the assessment year 2015-16, if the amount of interest is not able to exhaust the limit in the previous year subject to limit of Rs1 lakh. The use of the word “interest payable” in Section 80EE(1) seems to suggest that even if assesse has not paid the installment during the year, S/he will still be eligible to get the benefit. Remember, while everyone buys house property(s), it is important to avail the benefits available under the Income Tax Act, wisely as this would enable in optimally saving your tax liability, and off course enjoy the fruits of your investment made too and /or enjoy the comfort of your dream house too. From a financial perspective, home loan is considered a ‘good debt’ because you get tax exemption on loan payments and at the same time your asset also appreciates over the time. Happy Home Loan, Happy Tax Planning! All about HUF (Hindu Undivided Family)!